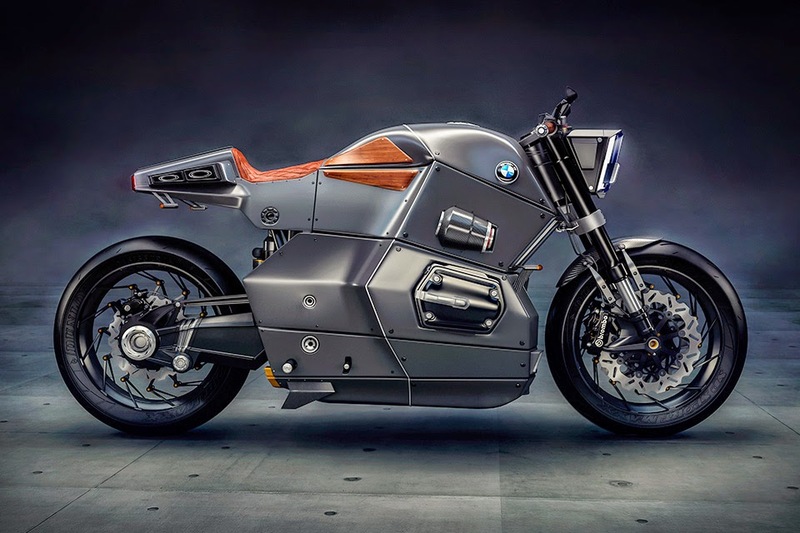 BMW Urban Racer Concept Motorcycle. While it’s not an official Bimmer project, Slapins did a stellar job channeling the brand’s aesthetic appeal. 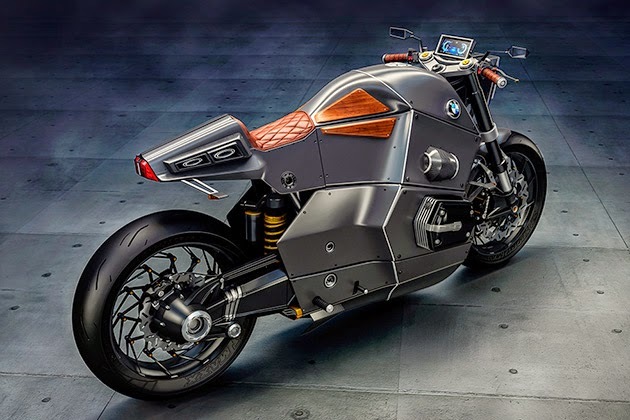 The aggressive styling was inspired by fighter jets, and has the powerplant to match its aggressive looks. 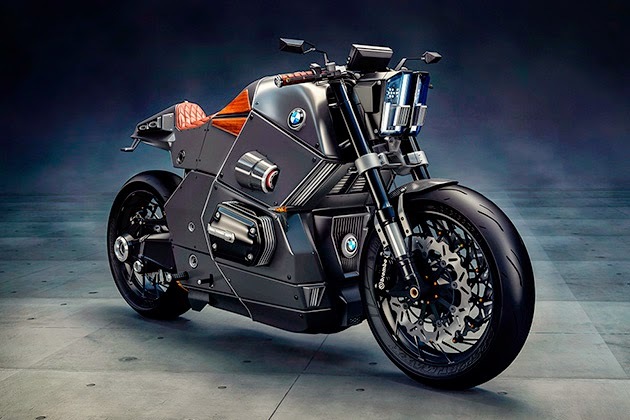 The motorcycle is equipped with a 1200cc twin cylinder engine pumping out 115 horsepower, and a pair of Brembo brakes for optimum stopping power. The entire vehicle is constructed from sleek silver, with carbon fiber fenders and mahogany wood fuel tank guards providing some nice contrast. Meanwhile, a gorgeous quilted leather seat to match those wood guards makes for the ultimate finishing touch.